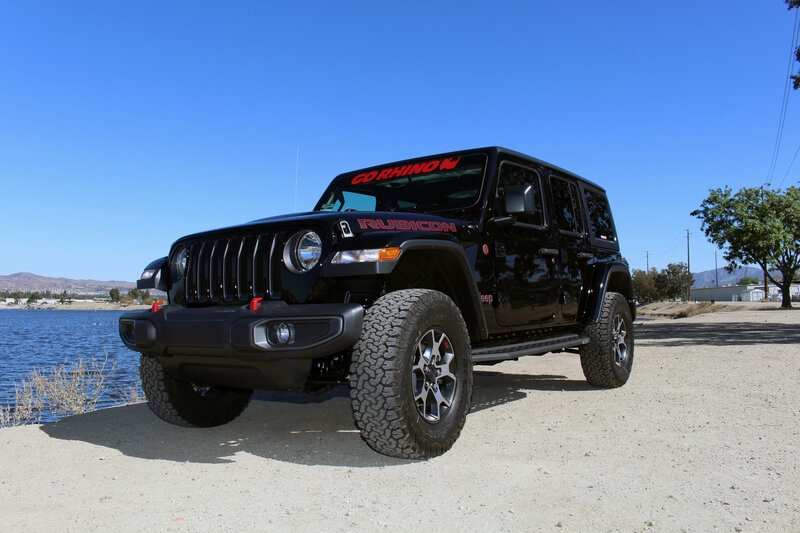 Make stepping into your 4 door Wrangler JL a breeze with a set of RB20 Running Boards from Go Rhino. 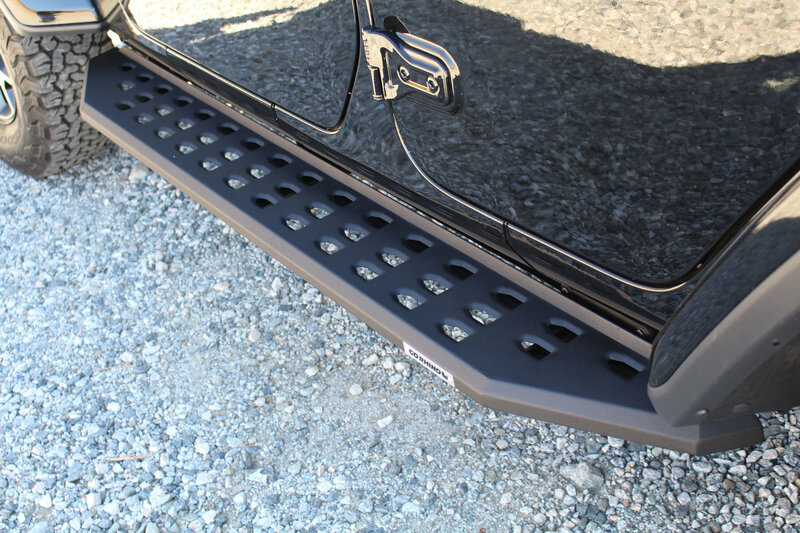 These direct bolt-on side steps draw their styling cues from the legendary Ford Raptor. 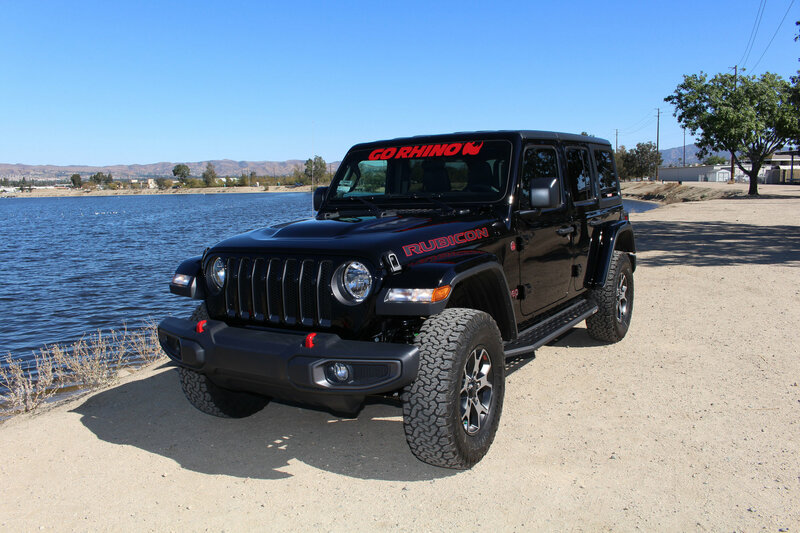 Go Rhino uses corrosion resistant 16-gauge zinc coated steel for a heavy duty step that can hold up to abuse on and off road. 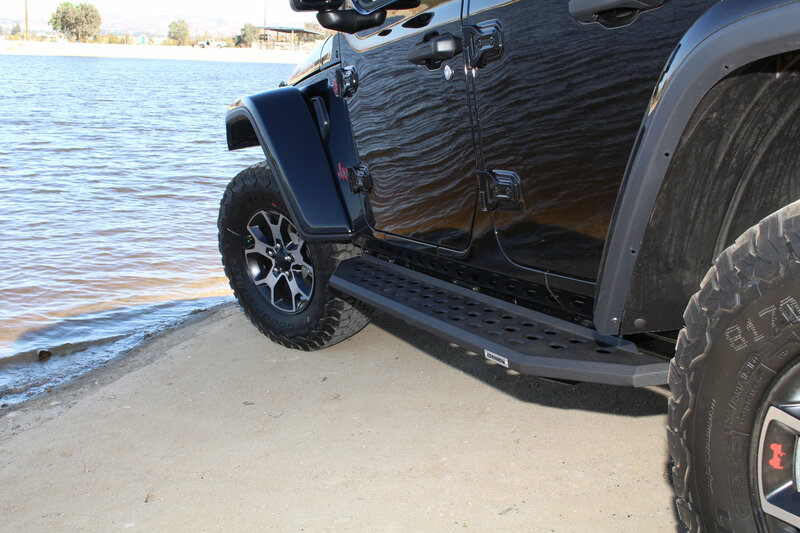 The RB20 side steps are available in either textured black powder coat or a black bed Liner finish for long lasting good looks. 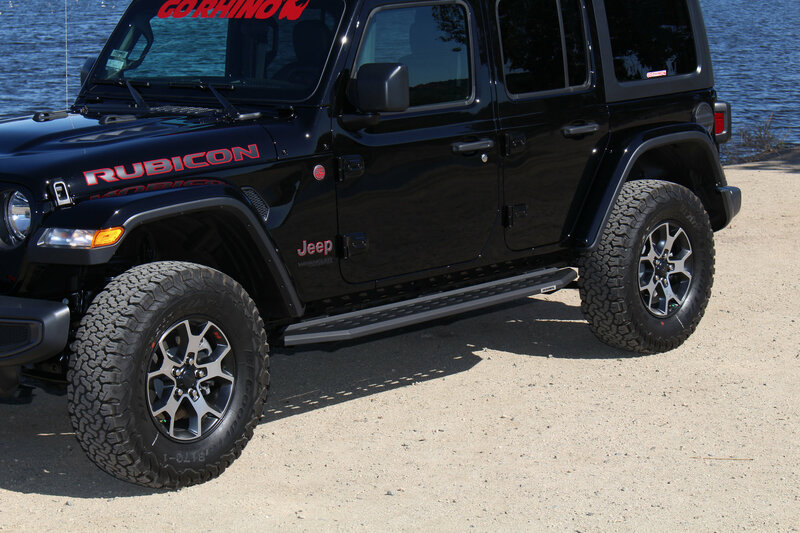 Stylish Design Go Rhino Looked to the Ford Raptor for Inspiration on Their RB20 Series Running Boards. 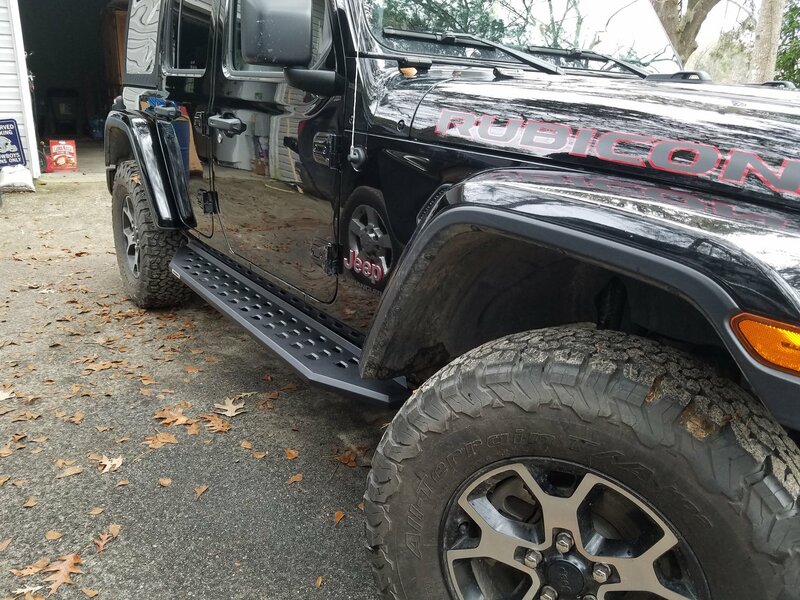 Heavy Duty Construction RB20 Running Boards are Made from 16-Gauge Zinc Coated Steel and Finished in Your Choice of Textured Black Powder Coat or Truck Bed Liner. 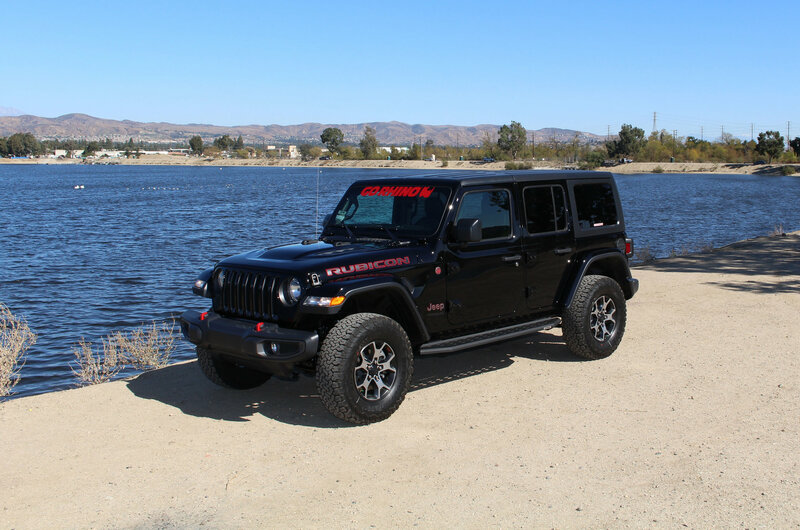 Easy Install This Kit Features Wrangler JL Specific Brackets That Require No Drilling or Other Modifications. Looks sharp and only took about a half hour for installation (including removing rockers). Sturdy construction. I'm a happy Jeeper! 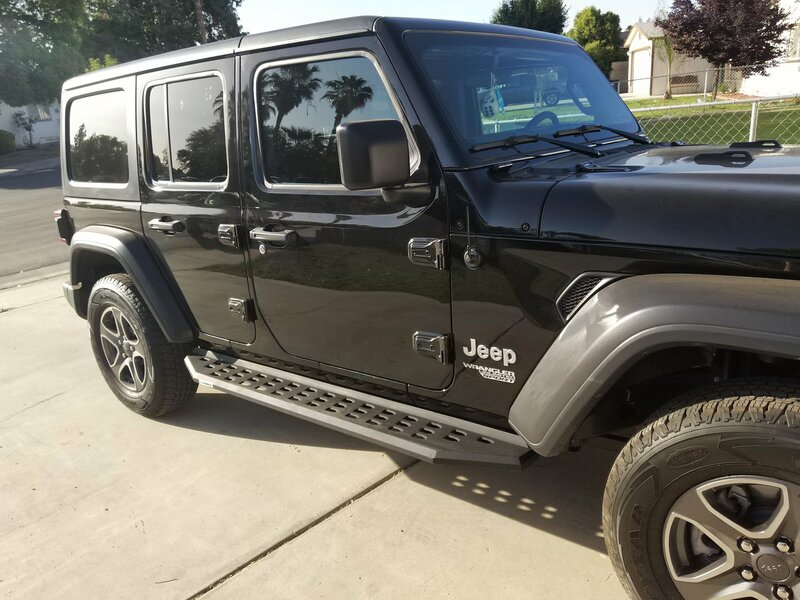 Looks great on my 2018 4dr jeep. Easy install, just don't overtighten bolts or they will split, speaking from experience. Pros: Look great and easy instal, just make sure you use the brackets in the correct locations. 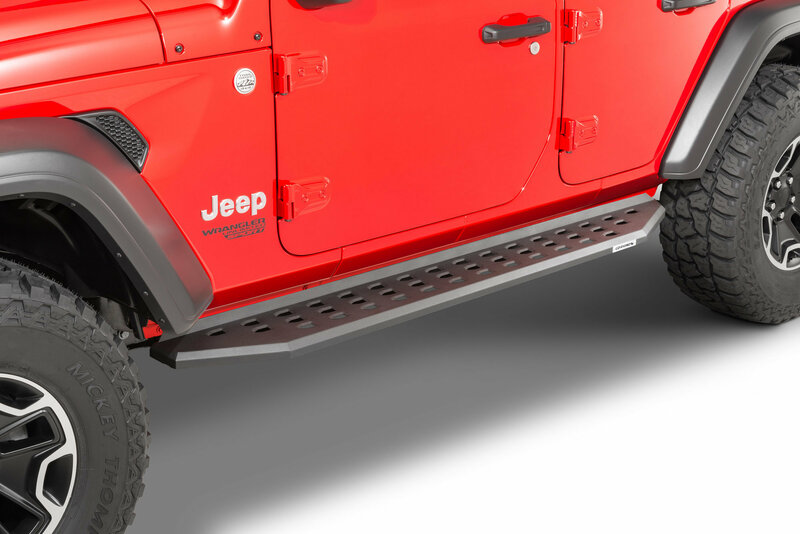 Cons: They are not adjustable out from the edge of Jeep Unlimited , bracket width is not wide enough, only 1/2 inch of outside support, this narrows the available step width. 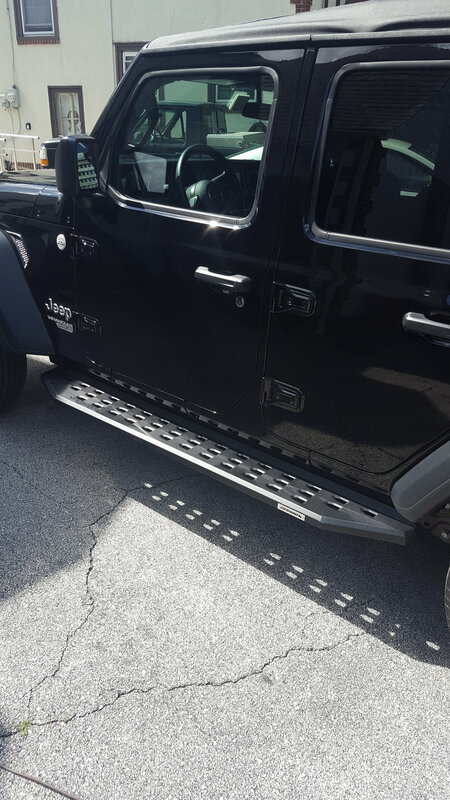 The powder coat looks like other textured Jeep accessories. The bed liner looks like the bed liner in a truck. 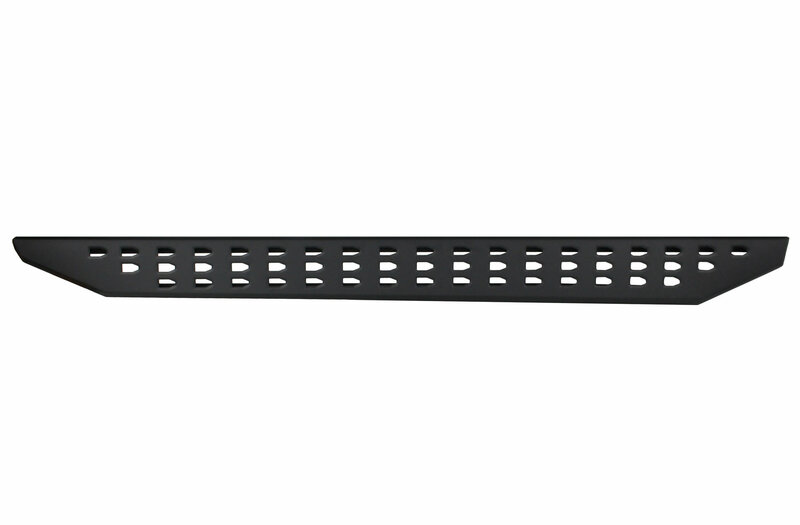 Can this be installed on the JLUR without removing the Rubi rails?